Image: Vault Comics. art and Lettering by Vittorio Astone, and Aditya Bidikar. What kid hasn’t imagined finding a secret door that leads to an adventure-filled multiverse? In Vault Comics’ Maxwell’s Demons, the titular hero is smart enough to actually build the tools to really go on those adventures. But the cosmos is a big place, filled with joy and horror in equal measure—as poor Max finds out. 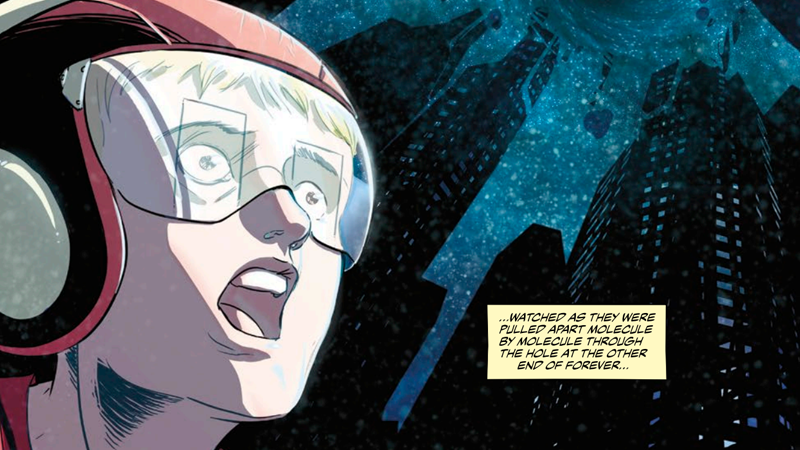 Written by Deniz Camp, and with art and lettering from Vittorio Astone, and Aditya Bidikar, Maxwell’s Demons is a five-part series that follows the young hero as he uses his supersmarts to build himself a doorway into the cosmos, going on adventures with his stuffed toys to avoid a miserable life at home with his father. Maxwell’s Demons #1 hits shelves October 11, 2017.